Chronic Inflammatory Demyelinating Polyneuropathy (CIDP) is a type of acquired immune-mediated inflammatory condition affecting the peripheral nervous system. It is characterized by a progressive weakness as well as compromised sensory function in legs and arms. It occurs when the myelin sheath, a fatty covering that protects the nerve fibers of peripheral nerves is damaged. CIDP is closely associated with Guillain-Barré syndrome and is believed to be the chronic form of that acute disorder. Its symptoms are similar to that of progressive inflammatory neuropathy. CIDP is also sometimes referred to as chronic relapsing polyneuropathy and chronic inflammatory demyelinating polyradiculoneuropathy due to its involvement with the nerve roots. CIDP is a rare disorder. The estimated prevalence in populations from Japan, Australia, UK, Italy and Norway is around 0.8 to 7.7 in per 100000 individuals. Lewis-Sumner syndrome, also referred to as the multifocal acquired demyelinating sensory and motor neuropathy (MADSAM), is characterized by a striking multifocal picture that is indistinguishable from the other types of mononeuropathy multiplex, along with motor and/or sensory symptoms in the individual nerve distributions. 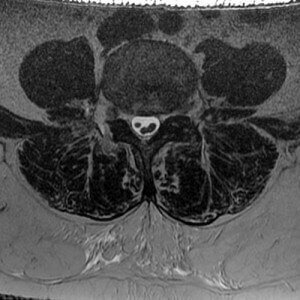 Chronic immune sensory polyradiculopathy or CISP is a similar disease of sensory ataxia caused by inflammations that are confined to dorsal roots. Sensory-predominant CIDP is marked by sensory symptoms along with signs associated with pain, balance problems, dysesthesias and paresthesias. Although there is no weakness, studies carried out on nerve conduction demonstrate significant slowing of motor conduction as well as other demyelinating features. Distal acquired demyelinating sensory neuropathy (DADS) is normally more slow-progressing than the typical CIDP. It is also frequently linked with IgM paraprotein. Both variations of DADS with and without the participation of IgM paraprotein exist. CIDP is sometimes connected with CNS involvement, along with hyperreflexia, optic nerve disorders, Babinski signs, as well as MRI abnormalities of central nervous system demyelination. However, it is not clear whether the combined signs indicate associated diseases or coincidental happenings of unrelated diseases. The exact factors responsible for causing CIDP are not known, although it is believed to be an autoimmune disorder. In a healthy individual, the immune system of the body provides protection against diseases by making antibodies that fight off infections that are caused by bacteria and viruses. However, for some unknown cause, the immunity system perceives the myelin sheath as something foreign and therefore attacks it. Sometimes abnormal proteins in the blood may trigger the damage, although the exact procedure as to how that happens is not known. Patients may additionally have fainting spells while trying to stand up or experience burning pain in the extremities. Some patients might suddenly experience pain in the back or neck which radiates down the extremities. This pain is generally diagnosed as a radicular pain and its symptoms are generally progressive and might be intermittent. Dysfunction of the peripheral nerves or a single cranial nerve can be observed. Autonomic system dysfunction might occur in some cases. In such instances, patients might complain of problems with the bowel and the bladder functions, orthostatic dizziness, and cardiac problems as well. Pregnancy can exacerbate the symptoms of CIDP. The condition worsens especially during the 3rd trimester or in postpartum period. A treatment trial can be carried out if diagnosis remains inconclusive despite a complete evaluation, as a positive reaction to immunotherapy might add credible evidence to diagnosis of CIDP. Absent F waves or signs of prolonged minimum F wave latencies observed in at least two motor nerves. The EMG/NCV can lie within normal range in some cases. It is important to note that the above mentioned criteria are not the gold standard for diagnosing CIPD. Two other well known sets of criteria, namely, the Koski criteria and EFNS/PNS criteria are also in use alongside the above diagnostic criteria. The first-line treatment for this disorder includes corticosteroid medications such as prednisone, plasma exchange or plasmapheresis and application of intravenous immunoglobulin (IVIG). IVIG might be administered alone or alongside an immunosuppressant drug. Plasmapheresis and IVIG have proven beneficial in double-blind, randomized, placebo-controlled trials. Although having less definitive published record of efficacy, corticosteroid medications are considered to be standard among therapies due to their prolonged history of usage as well as their cost effectiveness. Although IVIG is quite effective in managing this condition, it is extremely expensive. The immunosuppressant drugs that are commonly in use generally belong to the cytotoxic or chemotherapy class. Examples of such drugs include rituximab (Rituxan) which primarily targets the B Cells. Cyclophosphamide is a drug that minimizes the functionality of immune system. Another drug that is used in association with CIDP even though only sparingly is Cyclosporin. This drug is believed to bind itself to the immunocompetent lymphocytes, especially the T-lymphocytes. Non-cytotoxic immunosuppressive medications generally include anti-rejection transplant drugs mycophenolate mofetil (Cellcept) and azathioprine (Imuran). In the U.S., these drugs are employed as “off-label” medications for CIDP, which means that although their use is approved by the FDA, their use in CIDP management is not explicitly approved or indicated in drug literature. Before taking azathioprine, a patient should go through a blood test to make sure its use is safe. Anti-thymocyte globulin (ATG) is an immunosuppressive drug that selectively destroys the T-lymphocytes. Its use in managing CIDP is currently being studied by medical experts. ATG can be classified as a polyclonal antibody that is a gamma globulin fraction of anti-serum from animals that has been immunized against the human thymocytes. Although immunosuppressive and chemotherapeutic agents have proven their effectiveness in managing CIDP, adequate evidence is lacking primarily due to the heterogeneous nature of the disease as well as the lack of properly controlled trials. Patients should also be given physical therapy as this may help in increasing muscle strength, mobility and function as well as minimize shrinkage of tendons and muscles and distortions of joints. Bladder functions and GI motility can be abnormal if autonomic functions are involved. 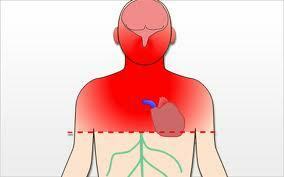 Complications might also result from treatment procedures. It is difficult to accurately predict how CIDP will affect a person in future. The patterns of relapses and the remissions vary greatly between one patient and another. A relapse can prove to be very disturbing. However, more than 70% of all sufferers manage to recover considerably from these relapses. If the condition is diagnosed early, early treatment should be aimed at preventing the loss of the nerve axons. However, many patients are left with weakness, residual numbness, fatigue, tremors and other symptoms that might result in long term morbidity and a reduced quality of life. Some patients fail to respond to usual treatments and therefore accumulate significant disability. Others might become treatment dependent after a certain period of time. The CIDP activity status or CDAS is a model by which the clinical status of the patients can be evaluated. 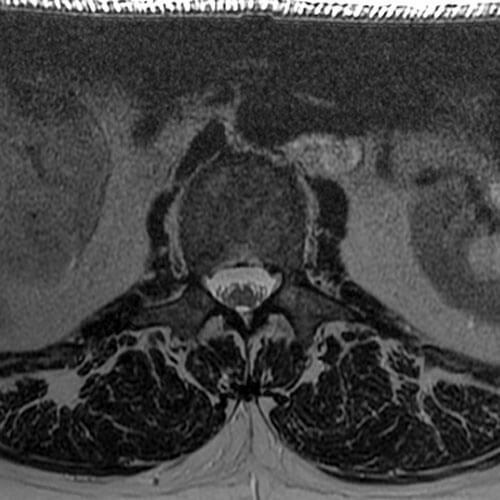 The images here show the loss of myelin sheath of the affected peripheral nerves.